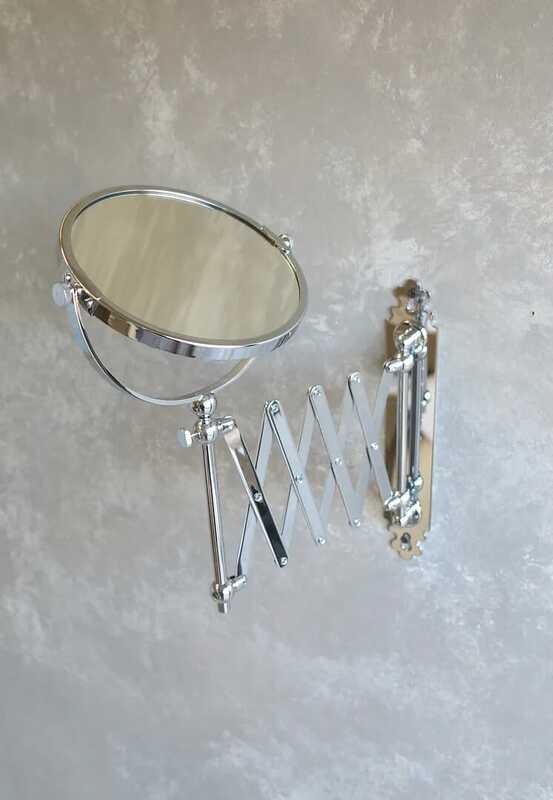 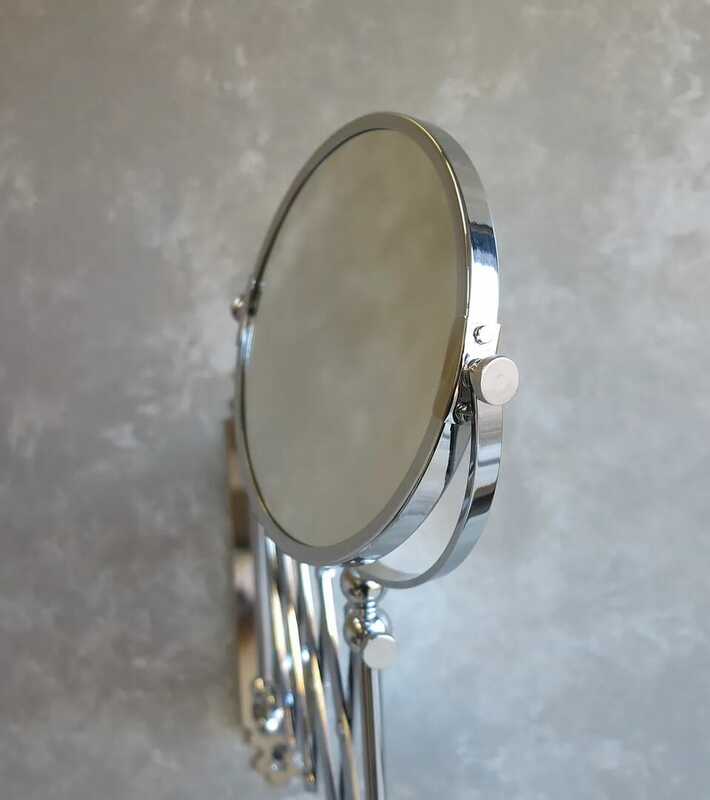 Over 40 hand polished components go into the manufacture of this luxury shaving mirror to ensure a smooth operation time after time. 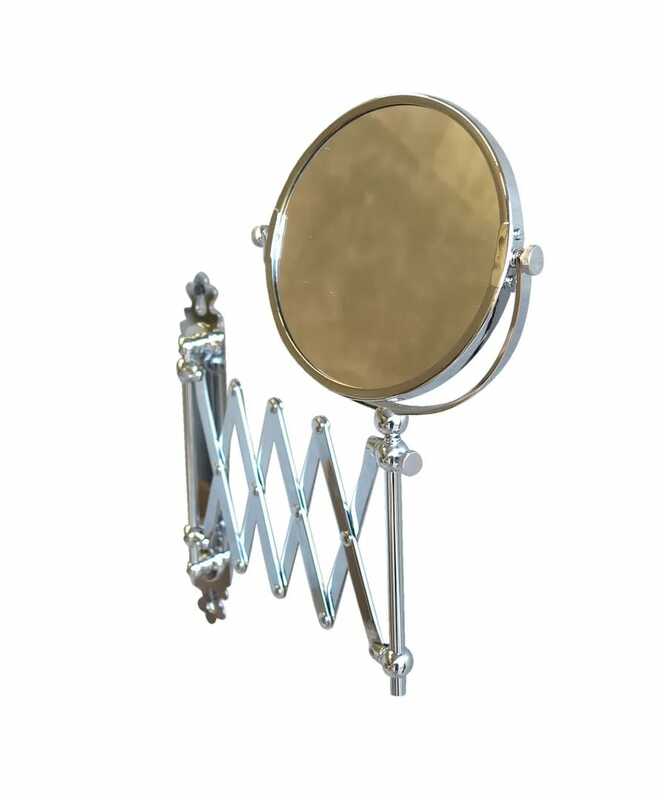 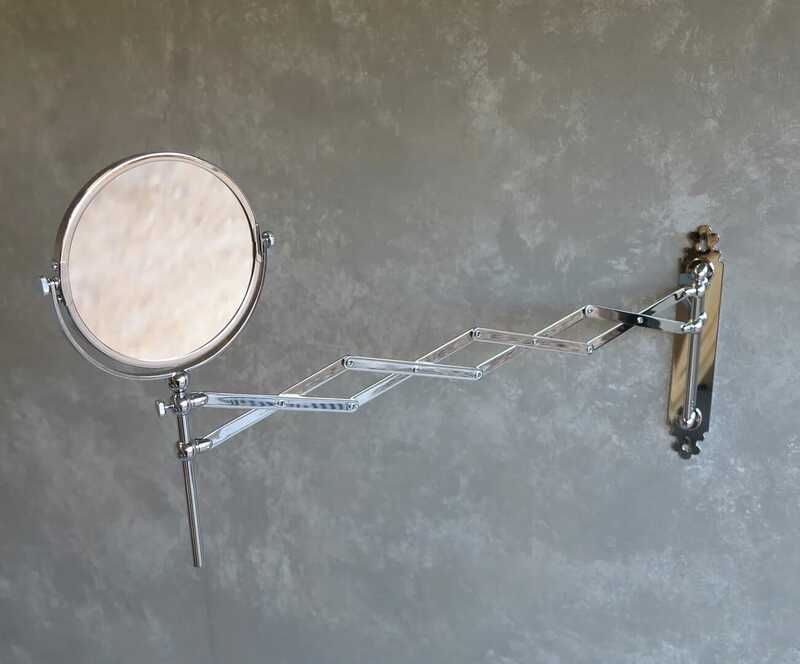 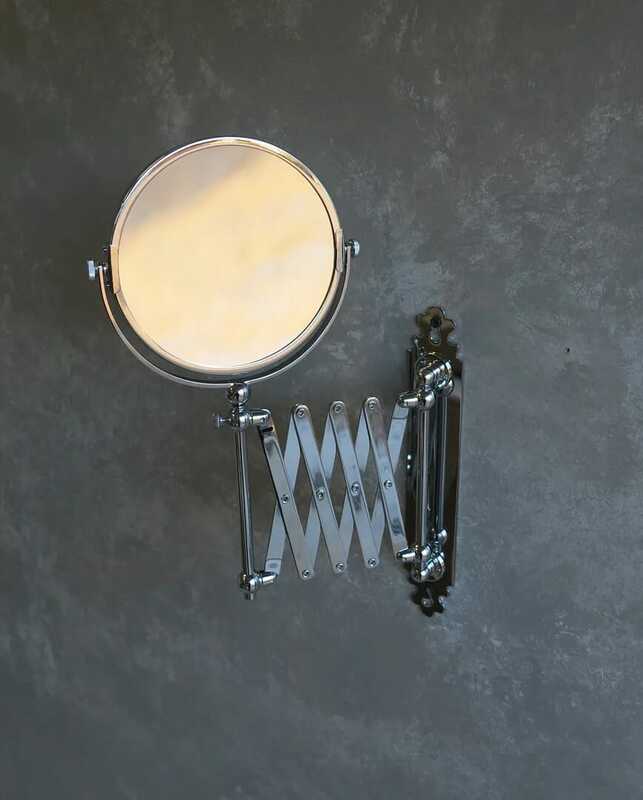 The reversible mirror has 1 x and 3 x magnification and is height adjustable. 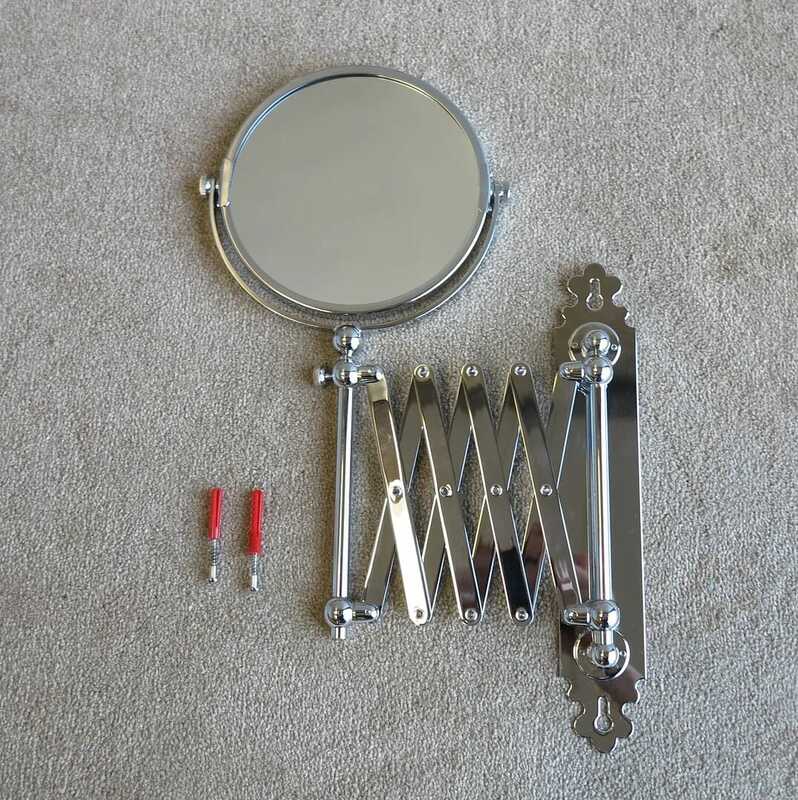 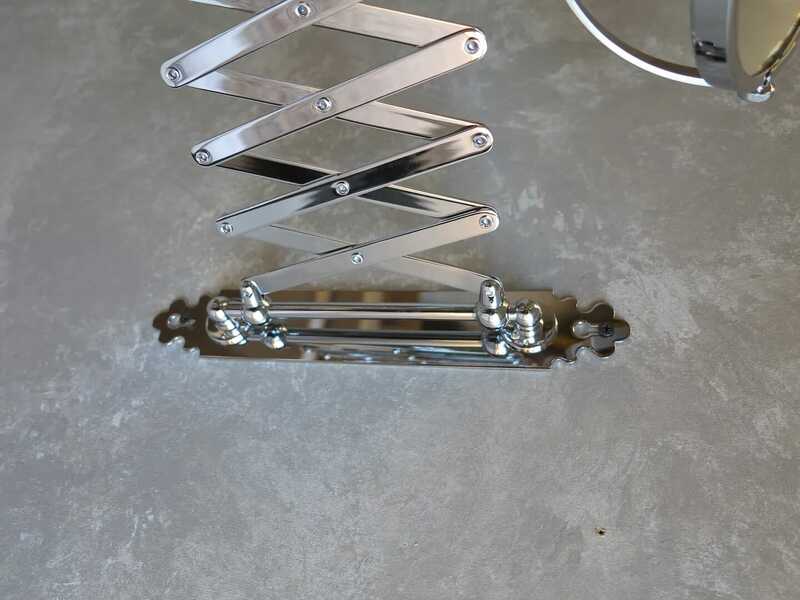 This measures: 16 ½" Tall (Max) x 23" Max Extend x 11" Long Bracket.